Skipping some 2500 years ahead, we visited Dragsholm which is a local castle. We had one specific reason for visiting the castle: Mary, Queen of Scots. It is a very curious footnote in history. Mary had a tempestuous life filled with lovers and husbands. Her second husband was found strangled - and she married the man who many believed was the murderer: James Hepburn, the 4th Earl of Bothwell and the last royal consort of Scotland only. Mary was forced to abdicate the throne of Scotland and fled to England seeking protection from her cousin Elizabeth I. Elizabeth remembered how Mary had previously led a claim to her throne and had Mary arrested and eventually executed. And the Earl was incarcerated (he was charged with bigamy in Norway after marrying a charming Norwegian wench!) and died at Dragsholm Castle. 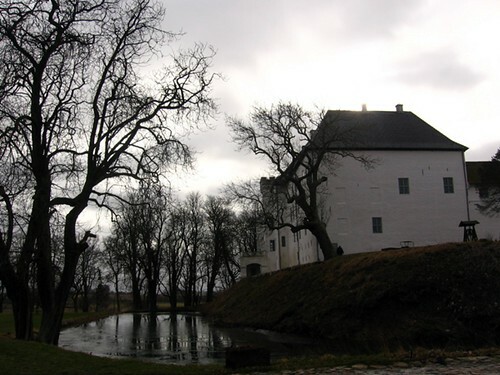 James Hepburn was not buried at Dragsholm Castle (lest we forget: he was a villain!). 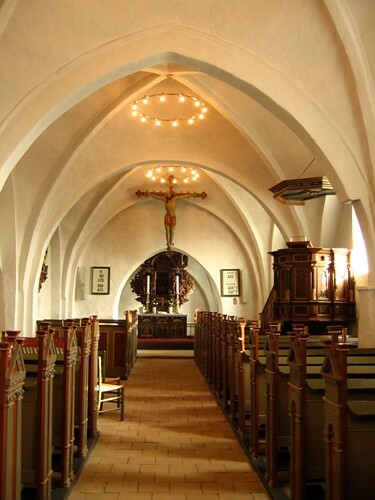 Instead he was taken to a nearby church in the village of Faarevejle. 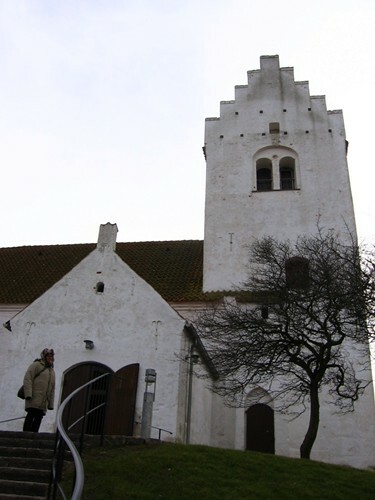 Faarevejle Church is a tiny, traditional village church. Like so many other Danish village churches, it was built sometime in the 10th century on the highest piece of land in the neighbourhood (which is not saying much in flat Denmark). Inside it looks like any other tiny village church. All but one pre-Reformation fresco have been painted over with chalky white paint (for pre-Reformation frescos in Denmark, this is a one fantastic website. Go feast your eyes). Nothing indicates that a colourful chunk of Scottish history is resting nearby. So, we had some detective work ahead of us. Especially as the only sign of life we could detect was the local vicar(?) singing along to the top 40 pop chart somewhere in the vicinity. Eventually we tracked down the local gravedigger in the nearby cemetery. A cheerful young woman, she was quite pleased to hear that her most famous resident had visitors. And she opened the door to the crypt. And this is where it gets very poignant. The 4th Earl of Bothwell. The Duke of Orkney. One of the key figures in Mary, Queen of Scots' life. And he lies in a damp and dark little crypt in the middle of nowhere. A plaque on the wall (sponsored by the Danish-Scottish Society) was the only indication that anyone remotely important was resting here. 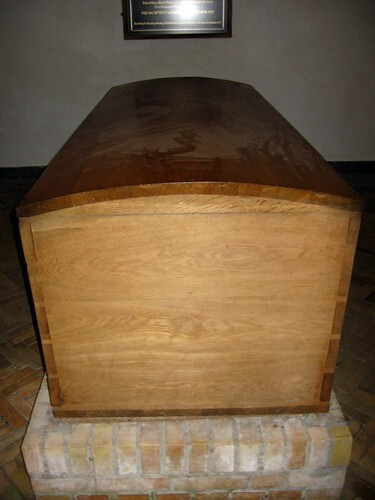 The coffin - a modern one - was covered in dust (I think you can tell from the photo). My partner, the Scotsman, grew very quiet. "How odd, " he said after a while, "to think of him here almost forgotten." I do not know what we had expected but we all left the crypt quietly and did not speak for some time. Denmark and Scotland. Our two countries united in a very strange, poignant way. Maybe that is why I keep thinking about that afternoon.